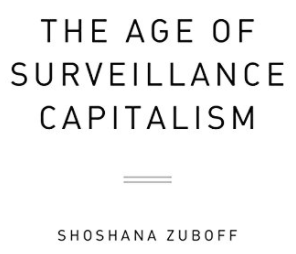 Professor Shoshana Zuboff’s new work includes The Age of Surveillance Capitalism: The Fight for a Human Future at the New Frontier of Power which will be published by Public Affairs in the U.S. and Campus in Germany in 2018. The Age of Surveillance Capitalism integrates Zuboff’s lifelong themes: the historical emergence of psychological individuality, the conditions for human development, the digital revolution, and the evolution of capitalism. It begins with the oldest questions: master or slave? home or exile? It explores the emerging forms of networked capitalism and their implications for information civilization. See more here. Zuboff joined the Harvard Business School faculty in 1981. One of the first tenured women at the school, she was the Charles Edward Wilson Professor of Business Administration. Her career has been devoted to the study of the rise of the digital, its individual, organizational, and social consequences, and its relationship to the history and future of capitalism.